Jose Mourinho claims he does not know whether Manchester United will bring in January signings amid reports the Premier League giants will look to sell Paul Pogba in the next transfer window. United face Liverpool at Anfield on Sunday, where defeat would leave them 19 points behind their title-chasing rivals. Mourinho has frequently voiced his displeasure at United's failure to secure the reinforcements at centre-back he wanted for this season and a perceived disparity in spending between his own club and others in the upper echelons of England's top flight. Pogba has been on the bench for United's previous two Premier League games and his most notable contribution to the midweek Champions League defeat in Valencia was a glaring close-range miss. The Mirror has reported the Red Devils are willing to listen to offers next month for the player they bought back from Juventus for a then-world record £89.3million in 2016. On United's plans for the window, Mourinho told reporters: "I don't know if we are going to have new players. I would like to but I don't know if it is possible or not. "It depends on the club. Honestly, I'm focused on my job of playing Liverpool and next week playing Cardiff. I'm more focused on that." 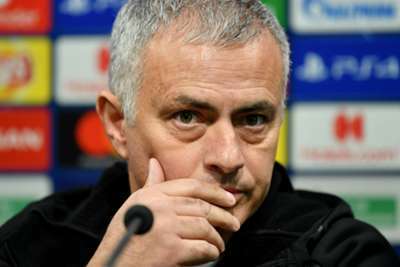 Mourinho said the current United crop are "far from being a team playing in his image but insists he is not dismissed suggestions he is disgruntled two-and-a-half years into his Old Trafford tenure. "I am not frustrated. What I demand from the players is that they give everything they have," he said. "I only demand from the players things that I can give myself. You have to work hard, you have to work on your limits. "It is my job. I am not complaining or moaning."